Grrrrrrrrrrr! They make me sick. "In Lhasa, people are sleeping in their clothes "in case of a knock on the door in the middle of the night", according to one source. Someone has disappeared from almost every Tibetan household in the weeks since March 14, according to one reliable Tibetan source, while another described the situation as a "second Cultural Revolution". At neighborhood committee meetings, Lhasa citizens are warned to tell people that everything is fine if they receive calls from outside Tibet." Most of us in India have decided to be indifferent to the forthcomming Olympics, as a PROTEST against the Chinese unethical and violent attitude. "Joining the ever-growing list of sportspersons and celebrites, Sachin Tendulkar (India's top Cricket Captain and Sportsperson) on Wednesday decided NOT to take part in the Olympic Torch Relay run scheduled for Thursday in New Delhi. The master Batsman becomes the latest to shun the Olympic Torch Run after National Football Captain Baichung Bhutia and India's first woman IPS Officer Kiran Bedi refused to be part of the relay." -- excerpts from the Times of India, April 17, 2008. 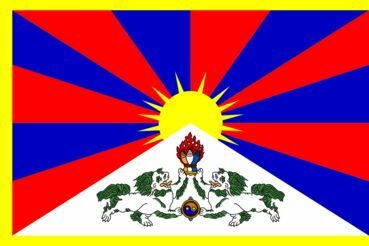 Most of us in India protest in sympathy with our Tibetan brothers and sisters.